This entry was posted in Destination Wedding and Honeymoons, Tahiti, Weddings/Honeymoons. 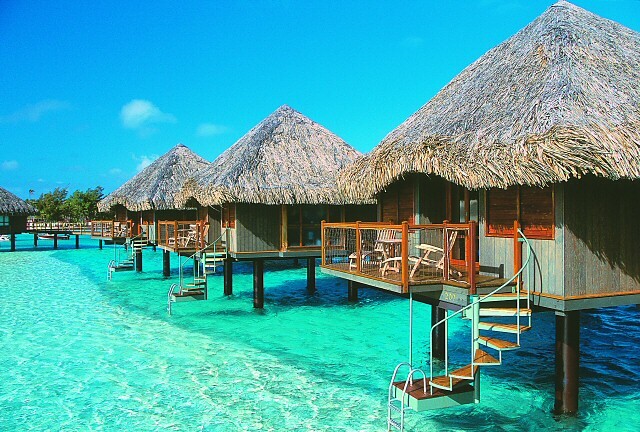 These water bungalows are fabulous! Just wake up and jump out of your front door for a morning swim! Your company really offers variety and wonderful places for vacations. I will pass this on to friends considering a getaway. Thank you very much for passing on our information. We really do our best to offer the best in destinations for our clients. Look forward to working with you in the near future.